We did make it to Arizona, but I managed to lose my Arizona themed Tibetan prayer flags somewhere. Hopefully, they’ll turn up, but I have no idea where they could be. We had a great time on vacation. The weather was perfect, we met old friends, made new friends, our daughter came for a visit, and we were happy campers the entire time. Lots of sight seeing, lots of eating out, pool time, and just chilling outside on our patio reading good books. It was a wonderful getaway from all the cold weather back home. Taxes are done, and I’m back to attending local meetings, and sewing in my home studio. No gentle breezes, birdsong or visitors walking by my patio studio, but it’s great to have access to my fabric collection, have lots of thread choices, and room to spread out. 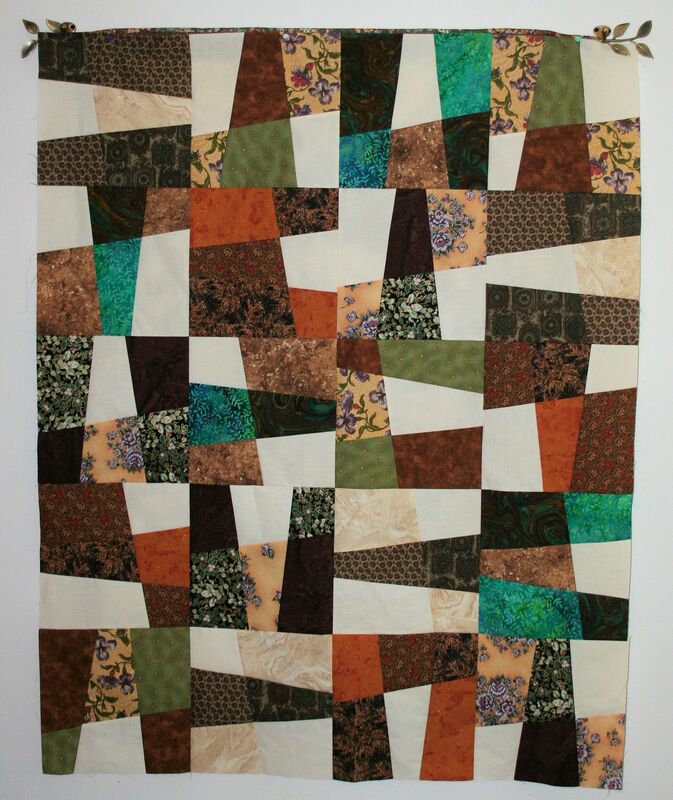 While all the fabric came from Tucson, this quilt top will be donated to my local quilt guild’s Comfort Quilt project. I’m 2,500 miles away from Tucson at the moment, so my local Comfort Quilt club will benefit.